The 30-minute commute ended up feeling like an hour, but we finally reached our desination station: Dupont Circle. One must use the escalator to reach street level. No problemo. 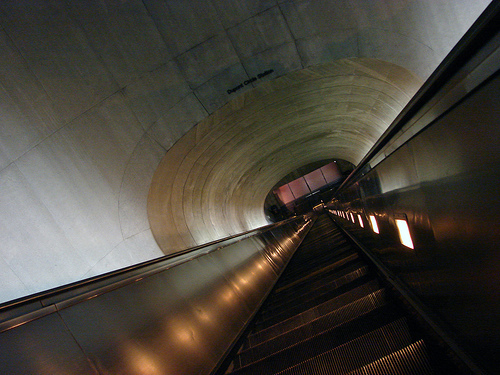 And then…approaching the escalator…. Bernadine’s face staring up from the first floor. And now this thrill-ride of an escalator stood in between myself and micro-brew. Yes. Beer over fear. My concerned, albeit confused friend stood next to me while I grasped the hand rail with both hands. 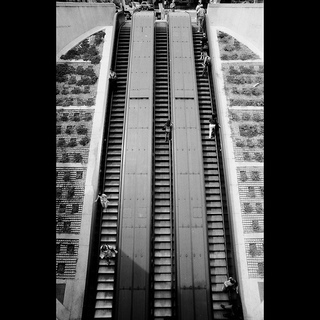 Not only was the escalator the steepest I’ve seen, but also the longest. up, we were all afraid of something. My sister’s fear was spiders. know; because she would pinch me to wake me up and look. She still hates spiders, but is no longer terrified of them. Which is usually how it goes, luckily… but ya remember everything so clearly once in a while. So now I ask you, dear reader, ….what scared you?